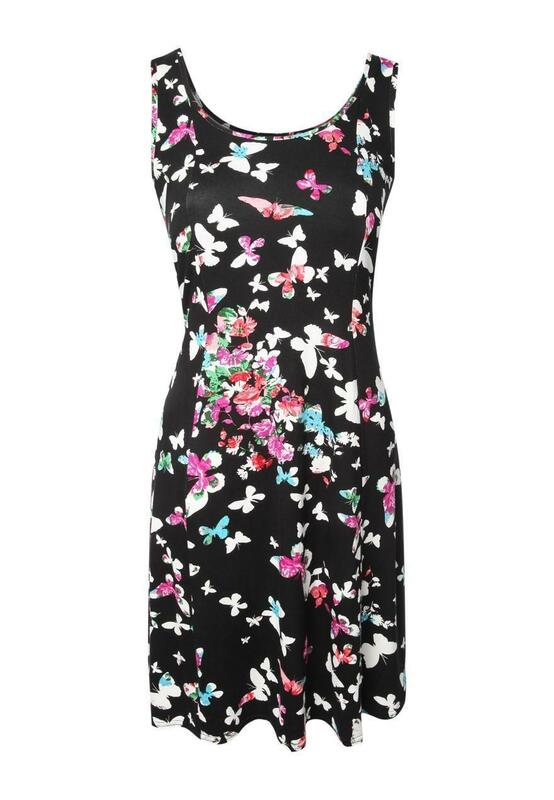 Create a cute pretty look this summer in this all over butterfly print skater dress. 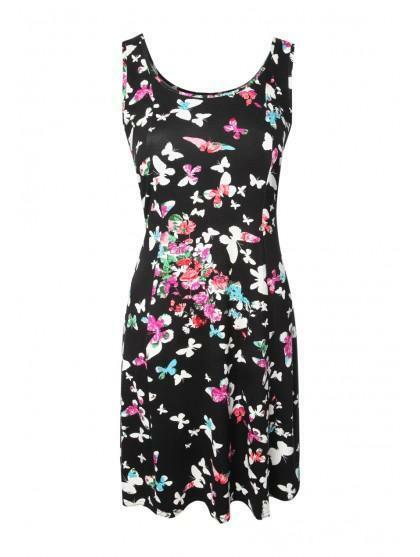 Featuring a skater cut, the knee length and rounded neckline. Team with plain sandals and sun hat for a holiday look.